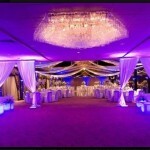 Knight’s Rental of Reading, PA offers complete pipe and drape services. Pipe and drape can be used for trade show booths, crowd control sanctions, dividing rooms or back drops with mood lighting. 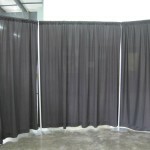 Standard trade show style booths use a 8′ back wall with either 3′ or 8′ side walls. 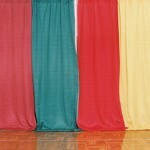 Full trade show booth packages are also available including tables, fitted table covers and table skirting. Comes in a variety of colors. Please see examples below. Standard pricing includes black drape. Colors are additional.